If you are still reading, here goes. One of my biggest mistakes is that I tried to over-analyze the entire freelancing process. Little did I know, all I really had to do was be different, and “do the opposite” of what was already out there. I just had to be “me” instead of what I thought clients wanted. So, I won’t be offended if you don’t read the rest of this about page. Just do you. If you really want to read something, here are a lot of words about freelancing without experience. 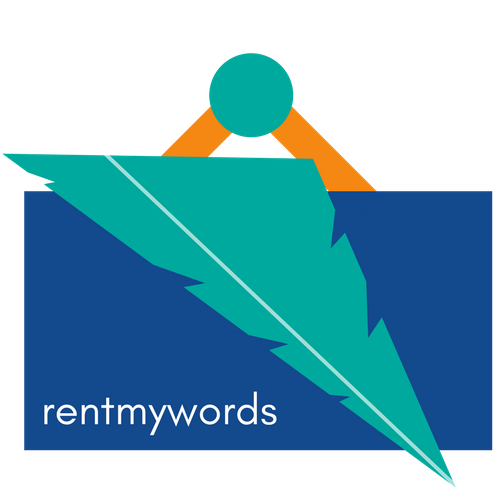 Rent My Words is a website in a world of millions of websites; and one of many freelance-focused writing websites. Not profound by any means, but importantly, I’m aware. So, maybe you won’t find thousands of blog posts here, but you’ll find something different. What’s that mean? I don’t have a course to sell you. I will ask for your email in exchange for some knowledge, but you’ll only hear from me if important. I actually think Upwork is a good place to start as a beginner. I’m writing here to help, and as a hobby. I’m not saying anyone with a course or regular email campaigns and newsletters is bad. They are actually pretty good. They are good to the point that I don’t have value to offer beyond what is already out there in that regard. And, I just don’t have the time. To share my success with others. I’m not a writer. That’s my thing. You can read about it in this behemoth. I’m just a guy. I enjoy writing, so thought I could “do it on the side” to make some extra money. I want to share my success, and if I make a few bucks on the side from this website, then that’s cool. I went from zero experience to my first job, to my first 50 jobs, to about 150 jobs. I actually don’t even do freelance writing any more—just too much going on. But, I still want to write, and feel I can add a lot of value to those in what my position was then. Just a regular person, not a “professional” writer by any stretch, but someone who likes writing and felt they were good enough to make a dent. So, please enjoy. I love feedback, and feel this site will ultimately be nothing if I don’t solicit your feedback, both in terms of what your biggest challenges are, and how I’m addressing those challenges through my content. So, as a first step, I’d love to hear from you. And, always, if you take the time to reach out, I will certainly take the time to respond. Best!